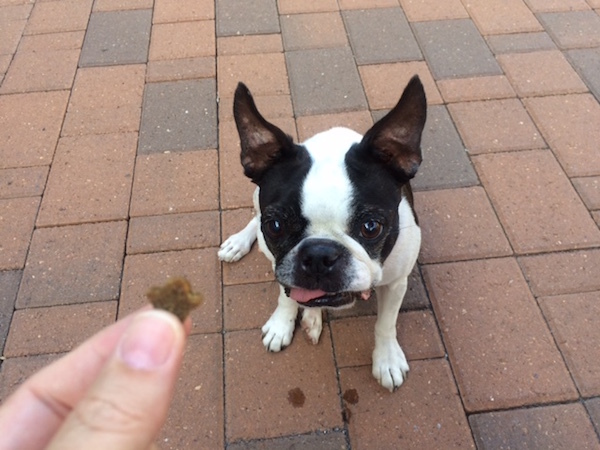 In his role as Dogster Chief Tasting Officer, my dog Spot tries a lot of treats. Hands (and paws) down, one of our favorite brands is Zuke’s. I like that the company uses purposeful, natural ingredients and avoids anything artificial. Spot likes that the treats taste good. We recently reviewed the latest flavors in the Mini Naturals line: Ghosts. These treats come in drool-worthy Turkey and Pumpkin as well as Chicken and Spiced Apple. Plus, how adorable is the shape? I highly recommend picking up a bag of Ghosts for Halloween. You’ll be the hit of the neighborhood with the trick-or-treating pups! You can find them at PetSmart ($5.79 for a 6-oz bag), and your dog won’t be upset if you have leftovers from the holiday. The post Editor’s Pick: Mini Natural Ghosts by Zuke’s appeared first on Dogster.